I think you would have guessed by now that I'm not normally one for subscription beauty boxes. I always figured that I'd be better off buying products that I really want, rather than spending £10-£15 on samples. However, around Christmas I noticed that they had £5 off for all new subscribers at Birchbox and the samples being shown looked pretty decent (Laura Mercier Caviar Sticks and Bobbi Brown Mascaras? Yes please! ), so I decided to put in an order. I was quite excited to receive my first box, I already knew that all the December boxes would include a Ciate eyeliner and I couldn't wait to see what else there would be. When I received my box in the post, my first thoughts were 'Wow that's some pretty cool packaging'. I've seen people using their Birchboxes to store brushes in, but my Sister's an avid stationary collector so I knew she would like the box. The lid comes off to reveal the drawstring bag underneath, and the box is the perfect height to store brushes/makeup upright, or pens and so on. However, this is where I was left slightly underwhelmed. There was the Ciate eyeliner as expected, however I wasn't too keen on the other samples. I think the Bene-tint sample has been done far too often, I personally don't think the product offers much and I still have my (much larger) sample that I got in Glamour ages ago for £2. I wasn't impressed with the Anatomicals body lotion either, I feel like I could have got something similar in Superdrug, and I guess I was expecting more beauty products instead. I also got a small sample of the Elemis day cream. Lastly, I got a Percy and Reed Wonder balm (which I also received in my M&S advent calendar), and whilst I have heard good things about it, I'm not sure if it's a good match for my 'beauty profile' that you set up in order to get beauty products personalised to you. I've also seen these last two samples in magazines quite often, so it really made me think about whether I was actually getting 'luxury' beauty samples, or samples that couldn't be shifted elsewhere. I was also quite gutted that there were no Bobbi Brown/Laura Mercier samples to be found in my box (oh well). At this point I was really contemplating unsubscribing, but then I checked out their website and saw that the January box looked like it had products better suited to my beauty profile, e.g. the eye cream for my dark circles, or the Nuxe oil. So I decided to give the January box a go. Again, the packaging was fantastic, a printed box with a drawer that slides out, a really multi-use product! However, I opened the drawer and was left underwhelmed again. On their website they promised to have two full size products, but my samples were tiny! Also, with me not being familiar with Birchbox, I didn't realise I had been short changed until the next day. My box only included 4 samples, instead of 5. I had to email customer services and they realised the hand cream wasn't included, so they sent that out later. This time I got the Lord and Berry Concealer stick. I think this may well be a new product as I can't find much on it online, but the reviews on Birchbox are a bit of a hit and miss. I also got a Nails Inc sample in Richmond Terrace, the shade does look pretty nice but the sample size is only 4ml! Even with the Nails Inc samples in Glamour you get 10ml. I also got a sample Clarifying shampoo by Kebelo, which I wasn't really expecting as I wrote that my hair was dry on my beauty profile so obviously I wouldn't want to use anything that might strip it further. I then got a Whish shave cream, which again didn't match my profile. Lastly, I got the Merci Handy Cherie Cherry hand cream. This does look like a really cool product, but I do already have plenty of hand creams lying about. Overall, personally I wouldn't really recommend the Birchbox subscription service. I found that there was a lack of beauty products, the samples weren't really personalised to my profile, and I've seen the same/even better samples in magazines, so I wouldn't say it was value for money! Although this isn't to say that someone else might not have a better experience, but it just wasn't for me. The main perk for me was the packaging really! Have you ever taken out a beauty subscription, and what were your experiences? 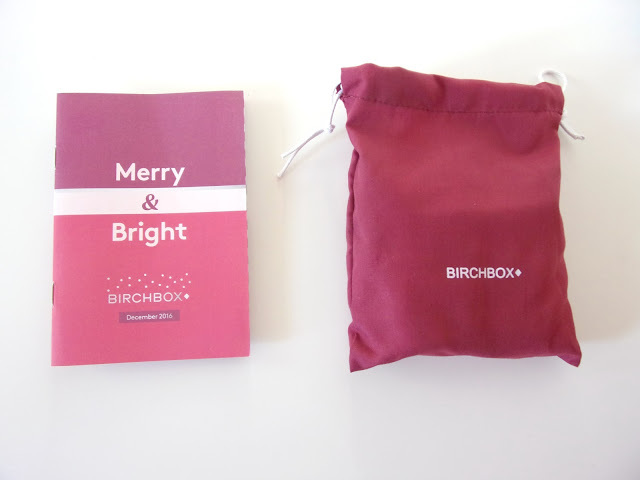 I was gifted a 12 month Birchbox subscription a couple of years ago and while some boxes I liked, I was overall disappointed with the experience. Like you said, a lot of products not at all suitable for my skin or hair type. I did like the feeling of getting a surprise in the post each month, but I really didn't like actually using a lot of the products. I tried various other boxes too, but in the end decided they just weren't really for me! Ah it's a shame that you didn't like this month's box either. That's a bit misleading that they were advertising products from brands like Bobbi Brown and Nuxe but didn't actually deliver :( At least you got a discount on your subscription! I'm always disappointed with subscriptions and have done this with Cohorted before! I much prefer beauty boxes that show you what's in them like Latest in Beauty or TILI! I think the Christmas advent calenders were much better value! Eh, well. You win some you lose some. Since I'm not so much in the beauty world, I didn't even know that subscription boxes were a thing. But honestly, I'm just happy with the little samples I get at sephora for my birthday. Those are great samples. I personally wouldn't do a subscription box, only because I buy makeup about once a year/6 months, when I really need it, and thats about it. But that's just me. Now a book box subscription-- can someone tell me where I can find that? I guess that's true! That sounds really cool :) I've actually seen quite a few book subscription boxes! Couldn't agree more with you dear, even I always felt these beauty boxes weren't for me. Saw so many people getting what they don't like or already have, things not suitable to their skin and that's a shame. Just like you I've never been one for trying these subscriptions boxes as you found out you weren't pleased with the products you got. I tried the Anatomicals cream and you can get very similar ones in superdrug like you mentioned which are better for the price as well! If I got that tint by Benefit I don't think I'd of been happy either! I am always in two minds about subscriptions as I hsd one for glossy box for a while - I often think its better just to buy what you want! 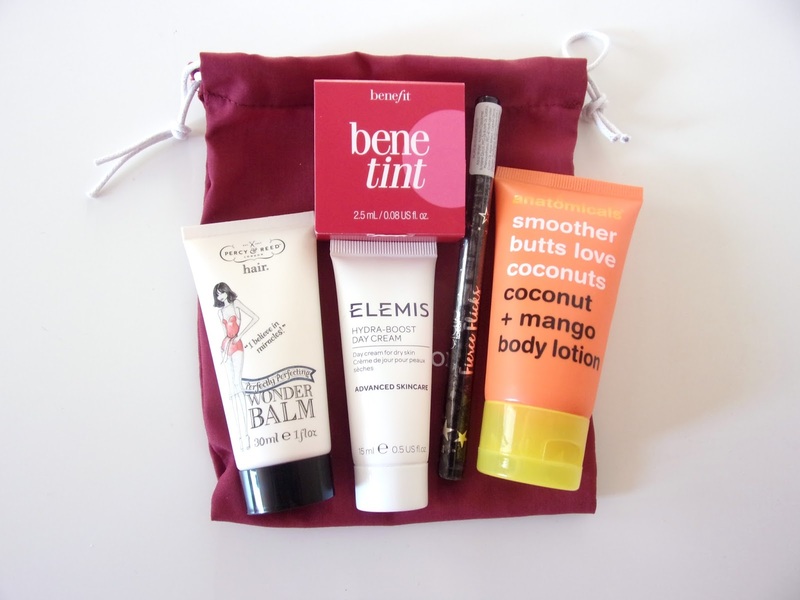 This looks like such an amazing subscription box - great products! I've always stayed away from beauty boxes because like you, I'd rather just save for something I'd actually want! I can see why people get them if you want to try something new, but it seems pointless if stuff didn't match your profile etc! I thought the profile was supposed to be there for a reason, but I honestly don't see how it was considered in choosing the products. Thank you! Wow glad u caught that mistake and got sent the 5th product. I dont do boxes anymore cos its such a hit and miss. I'd rather buy what i need. Enjoy your products, cute packaging. Haha it was a bit like 'what? ', yeah I agree it was mainly misses! The boxes are definitely something you can re-use, for jewellery, samples etc. Infact, I think I preferred the boxes haha! 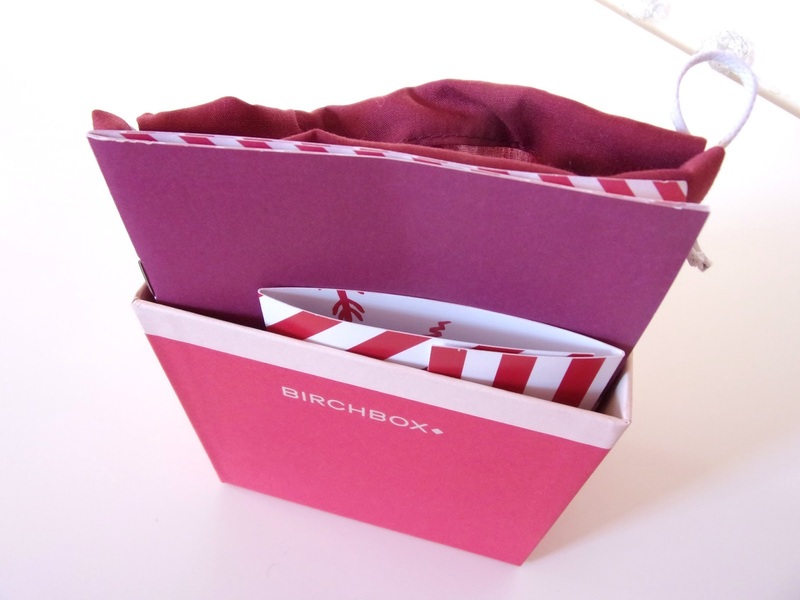 I know many love Birchbox but when they came to Canada, I find them to be very underwhelming. True enough the subscription didn't last long. Shame that you're underwhelmed with both boxes but it's always a risk with beauty subscriptions. It can get quite cluttered having samples all over the place! 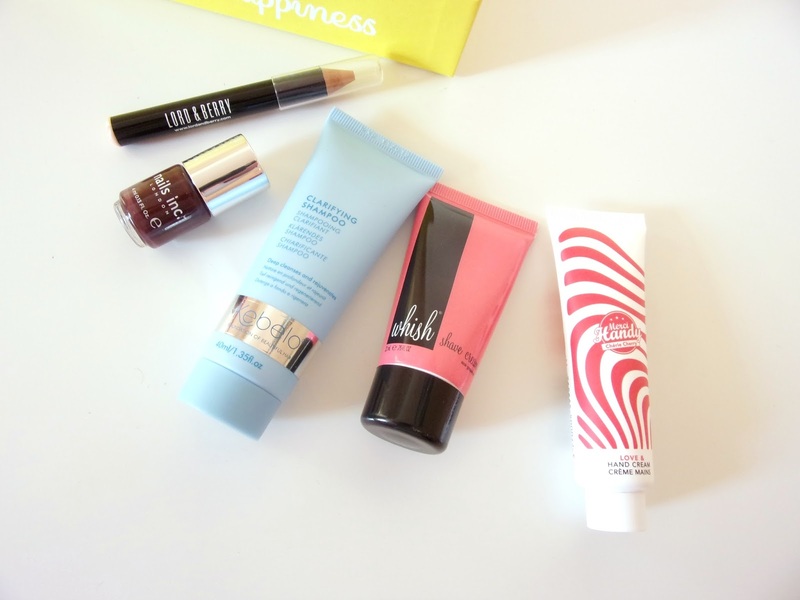 I actually tend to have better luck with non-beauty subscription boxes! But I definitely agree with you on beauty boxes, why not just save the money and buy one product you KNOW you're going to like? Ooh these non-beauty boxes sound interesting haha! I heard so much about this box and I'm so curious now! It look really great! I did the exact same thing. I ordered the November Birch Box as I loved the peacock Tatler design, though I was very disappointed with the contents. I unsubscribed but was still sent the December box. I was pleased with the Bobbi Brown mascara and Benefit goodies but like you think I'd rather buy the items I actually want. Great post, which lots of people can relate to. Ah that's too bad. Subscription boxes are always a hit or miss, and that's why I wouldn't go for a more expensive subscription box. I'm currently subbed to TopBox which is a canadian beauty box and while it's still hit or miss, it's only 12 bucks a month so it's not that bad. It's still fun to receive something new each month. I used to get Birchbox however it just wasn't worth it for the products you get, plus everyone else seemed to be getting much better products than me! I am a sucker for beauty boxes and trying on samples. Thanks for the review, I will skip giving them a try. too bad you didnt like the samples. It is really better to buy products you actually want. Stopped by to say howdy and have a great rest of the week. I have never had a subscription box before - I have been given them as a one off. But I have never had to pay for one... After reading this - I agree that the packaging looks like it is really great but you don't seem happy with the service. The birch box service is good if you get the products you want but as with all subscriptions it's hit and miss. I like that you are able to unsubscribe.